certainly worth a listen and very consistent all the way through. great lyrics to boot. -Paul. Over the course of her career, Aimee Mann has given voice to those who aren’t necessarily losers so much as self-saboteurs, lovers who bristle at intimacy, who race full speed ahead toward happiness only to shoot themselves in the foot just shy of reaching their goal. “Always snatching defeat/It’s the devil I know,” she sings on “Goose Snow Cone,” the opening track of her ninth album, Mental Illness. “Even birds of a feather find it hard to fly,” the singer-songwriter goes on to say. Love may be the answer, and it may be all that we need, but it’s not always the last word. It’s true enough that the operating mood on Mental Illness is one of melancholy—and not just because of the sad-sack nature of the characters that Mann brings to life, but because of the slow tempos and acoustic instrumentations. Mann has described this, her first album in five years, as an “if-they’re-all-waltzes-so-be-it record,” and though they’re not all waltzes, they are all songs about the solitude her characters feel in the wee hours of the morning. Whether that qualifies the album as depressing is subjective, yes, but I’m doubtful given how funny and often beautiful this album is. The songs here feel expertly honed, boiled down to their essence both lyrically and melodically. Mann is perfectly capable of assembling a song from nothing but puns and wordplay. She deploys her wit with precision on Mental Illness: These songs are stark character studies, heavy-hearted, disillusioned, and spiked with just the right amount of black humor. The album’s arrangements are all acoustic, Song for song, at each turn it exhibits the casual mastery of her razor-sharp pop instincts. “You Never Loved Me” is the most immediately winsome, a tiny masterpiece about how sarcasm and snark are covers for bruised emotions: “Boy when you go, you go/Three thousand miles just so I’ll know/You never loved me,” Mann sings wryly. Then she keeps circling back around to that title phrase, and it stings a little more each time. “Gotta keep it together when your friends come by,” Mann sings on “Goose Snow Cone,” about a couple whose bond is fractured but who are trying to hang in there anyway, putting on a brave face when they’re around others and choosing to nurse their cuts and bruises only in private. Mann’s best work has always lingered on such private reverie, and Mental Illness is one of her most ravishing and affecting hymns to solitude. What if Radiohead had used their Nineties digital prog to escape into the past rather than fight the future? That’s the vibe of “3WW,” the prettily mordant first track on Alt-J’s third record, a glitch-y modern version of Fairport Convention’s folk pastorales. The U.K. art rockers have a nice time messing with history – their “House of the Rising Sun” is a minimalist chamber rumble, with singer-guitarist Joe Newman adding his own poetry to the original. At times their idea-heavy songs can feel weighed down by cleverness (the Primus-y “Deadcrush”). But Alt-J can create a dark beauty that’s like moonlight on an English moor. 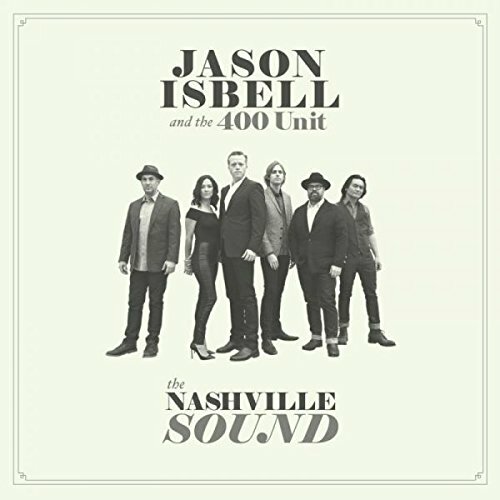 The Nashville Sound follows in the wake of Isbell’s 2013 breakthrough Southeastern and its 2015 follow-up Something More Than Free, albums that introduced the former Drive-By Truckers third-man to a larger audience with their tales of drunken demons and fresh beginnings. But after spending the last five years reckoning with past darkness, Isbell, 38, shifts his gaze outward. He pledges everlasting faith to his wife on the tearjerker “If We Were Vampires,” offers parental advice on the backyard bluegrass of “Something to Love,” and delivers an urgent warning to the white male demographic, which overwhelmingly voted for Trump, on “White Man’s World.” Isbell points to a more expansive musical future, one where he’s free to indulge his whims, fully unburdened by the notion that he’s the last of a dying breed. With its two sides split between Perry and Gerrard's vocal efforts, Within the Realm of a Dying Sunserves as both a display for the ever more ambitious band and a chance for the two to individually demonstrate their awesome talents. Beginning with the portentous "Anywhere Out of the World," a piece that takes the deep atmospherics of "Enigma of the Absolute" to a higher level with mysterious, chiming bells, simple but effective keyboard bass and a sense of vast space, the album finds Dead Can Danceon a steady roll. Once again a range of assistant musicians provide even more elegance and power to the band's work, with a chamber string quartet plus various performers on horns, woodwind, and percussion. Impressive though the remainder of the first side is, Gerrard's showcase on the second half is even more enveloping and arguably more successful. The martial combination of drums and horns that start "Dawn of the Iconoclast" call to mind everything from Wagner to Laibach, but Gerrard's unearthly alto, at its most compelling here, elevates it even higher. "Cantara" is no less impressive, a swirling, drum-heavy song that sounds equally inspired by gypsy dancing, classical orchestras and any number of Arab musical traditions. "Summoning of the Muse" is perhaps too formal in comparison, though still quite impressive, but "Persephone" is the finer effort and a good way to close. 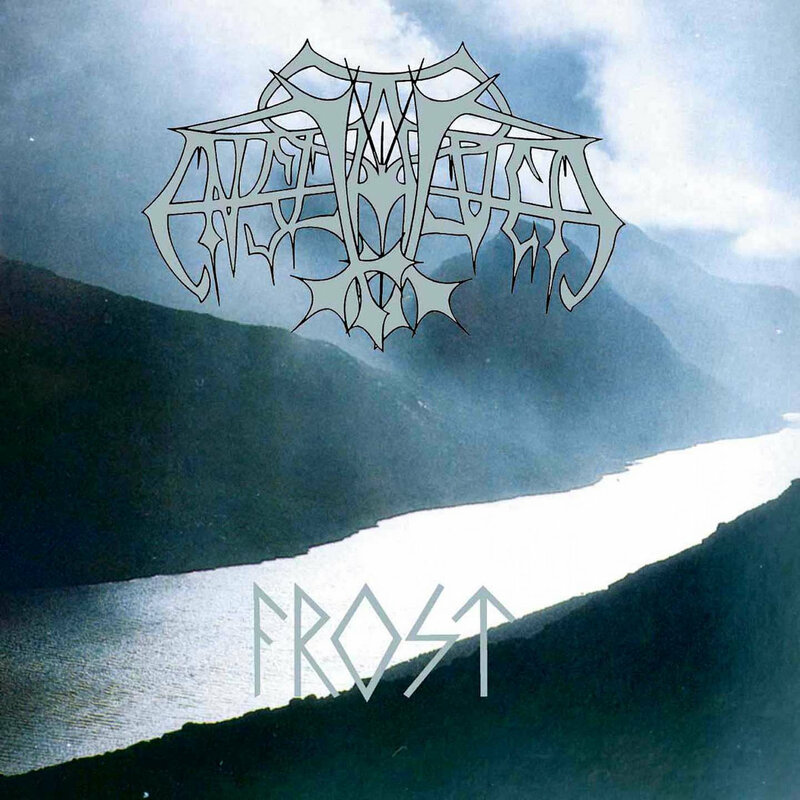 Following the epic release of 'Vikingligr Veldi' in 1994, Enslaved returned only a few months later with the release of 'Frost.' This album is equal to, if not outdoing their previous works. This Enslaved's 2nd release, released on Osmose records along with Bathory's 'Hammerheart' is one of the defining viking metal albums. This album comes at you with both a roaring wave of intense black metal with viking themes and a very calm folk side that is seldom seen in this day and age of music. With intense tracks like Loke and the classic Jotunblod Enslaved captures a sense of pride in their heritage through fast, aggresive music. The drumming of Trym (of Emperor fame) shines through the brutal riffage of the guitars, keeping up the with the wails of Grutle Kjellson throughout the fastest of riffs. Enslaved does not shy away from folk music on this album, combining acoustics with slow electrics and synths, paving the way for bands like Ensiferum and Einherjer and the likes. The tracks Fenris, Yggdrasil and Isoders Dronning put on a clinic on how viking metal is supposed to be done by the fathers of Viking metal. Enslaved touches on many aspects of metal on this album, using synths where they are needed to give a song a boost. With Gylfaginning, Enslaved combines the synths to create an awesome atmosphere much like the cover portrays the album to be. Not to mention this song has one of the few guitar solos on the album. This album is relentless on it's attack on the ear, this along with most of Enslaved's older albums cannot be compared to the new stuff such as 'Below the Lights' and 'Isa.' Enslaved hasn't taken a new direction with the new stuff, but rather matured and progressed over time. 'Frost' is raw, gut-wrenching and extreme while 'Below the Lights' is more mellow and and progressive, essentially leaving behind the raw black metal attitude. This being a turn for better. The only real knock on this album would be some out of place synths, for the most part they are used perfectly but there are certain spots where the synths ruin the feeling of the song. Rating: 4/5 for anyone new to the genre. Rating: 4.7/5 and must for anyone who is familiar with this genre.